Copper capillary tubes aresmall diameter tubes. They are used by the air conditioning and refrigerationindustry to increase the pressure of the refrigerant gas in the condensing unit.Copper capillary tubes with uniform internal diameter forms the metering devicein refrigeration and air-conditioning systems. These control the flow ofrefrigerant gases in the system. drawn, light annealed and softannealed temper. Our copper capillary tubes are manufactured in strict adherence to AmericanStandard – ASTM B360 and European Standard – EN 12450. 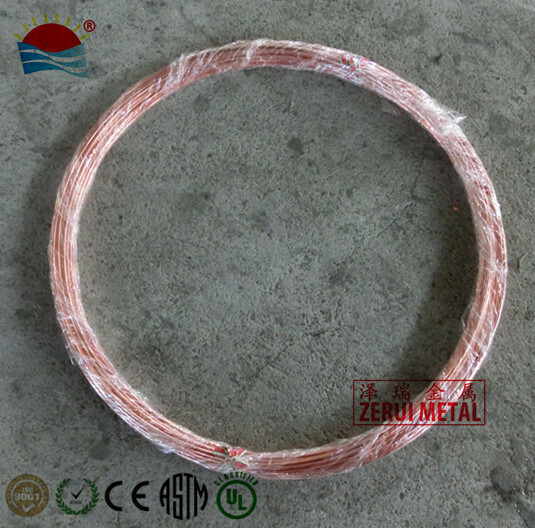 Our copper capillary tube is usually producedwith a general average tolerance of plus and minus 0.05 mm for outsidediameter, and plus and minus 0.025mm for inside diameters. Our capillary tube supplied in coil comes with capped ends. The coils are tiedand placed in plastic bag, which are later sealed each of 10’, 25’, 50’, 60’,100’ and 150’ (3m, 15m, 20m, 30m, 50m, 100m) bunch coils and packed in cartonbox and palletized. Our copper capillary tube supplied in straight length comes with open orcapped ends, as requested, our copper capillary tubes are usually bind inbundles of 100 pieces. Compatiblefor usage of R134a, R124A ETC Refrigerants. Manufacturedas per ASTM B360 Standard, EN 12450 Standard. The following values are given for indicativepurposes.